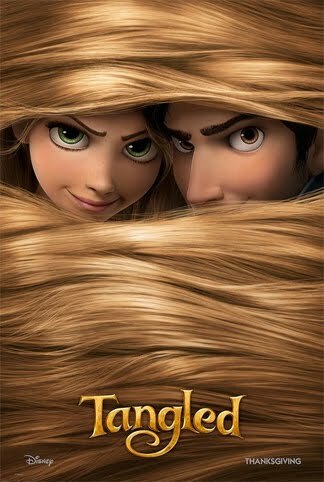 Alex J. Cavanaugh: Tangled Review and December Movies! A friend of mine saw Tangled and said she loved it. I'll probably check it out on DVD. I really hope Warrior's Way lives up to the hype because I want to see this one. And please, if you take Reepicheep hostage, can I have him? He's my favorite character! Hope you're recovering from an enormously wonderful thanksgiving holiday and have a great weekend! We saw Tangled yesterday as we do a traditional family flick every Thanksgiving. I give this a Siskell and Ebert two thumbs up. I'm sure we'll go back and see it again, then hop over and watch MegaMind again. 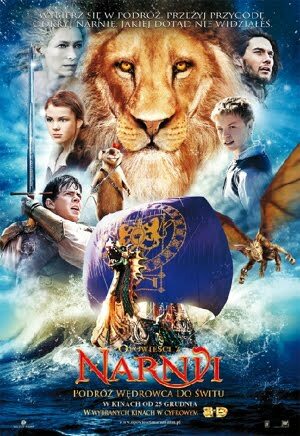 I can't wait to see Voyage of the Dawn Treader, and The Warrior's Way. I'm not sure how Tron is going to turn out but I'm hoping for the best. Tangled does sound like a lot of fun. I'm going to check it out. I heard Tangled got like a perfect review from Rotten Tomatoes. Too early for Oscar buzz? Dude, Reepicheep is played by Simon Pegg. His name already makes it a better film. Tangled was excellent! And Words, you may have Reepicheep, but I really hope I don't have to capture the mouse. Thanks for voting! Copyboy, a couple sourpuses knocked it down to 89%. The animated Oscar category will be tough next year! At least they found someone of quality to replace Izzard, TS. Oh wow!! I am so seeing Tangled then!! Yay!! Gosh these are some amazing films about to be shown. Why remake True Grit?!!? Oh dear. Hm. Oh we'll see. I'm all for kung fu and ninja films - my brother's crazy about them so I'll no doubt be hearing about these soon (or at least be able to borrow these films on dvd in the very near future...!!!). I'm taking the kids to see Tangled tomorrow. It looks really good. Also can't wait for Voyage of the Dawn Treader. Thanks, Alex, for your reviews and recommendations. Wish I had time to see more movies. We live 45 minutes from the nearest movie theater, so see mostly on TV! I saw a preview for True Grit and it actually looks pretty good. I’m worried about the Naria flick too. The last one was a disappointment. Tangled sounds like a great movie--I've read a lot of positive things about it! I did vote for you. I heard True Grit is truer to the book than the first one. John Wayne is tough to live up to though. I have high hopes for 'Dawn Trader' also. My daughter and I are going to see Tangled soon. Oh! Can't wait to see Tangled!! December movies look great too! I'm thinking it's Tangled and True Grit for me. Now...think about the Coen Brothers and Rapunzel! I'd heard Tangled was a good movie. Always good to get a second opinion. I'm not sure about True Grit. When they remake a classic they usually mess it up badly. Hard to see anyone else playing John Wayne's role. A good detailed review of the films,I enjoyed the post very much. Kitty, I cringed as well, but the remake does have quality names attached. We'll hope for the best! Melissa, you and your kids will enjoy it! Holly, it was, but hopefully they learned from that experience! Golden, it wasn't bad, but unlike the first movie, they didn't follow the book very well. Thank you, Susan and Lynda! Mason, we'll see if Jeff Bridges can pull it off! It seems this December doesn't have a huge huge film like we're used to :( No AVATAR this year. The top 2 films on my too see list for December are 127 Hours and The King's Speech, both of which I just hope find their way to NC before I go insane with waiting. I'd also love to catch Black Swan if I can. Area 51 looks good. I'm fascinated by this topic. Thanks for the reviews as we head into the big movie season! I'm also excited for both - Narnia and Warrior's Way, especially the latter, since as you know, I'm a huge martial are geek. As for Tron:L... Well, I hated the previews and the super silly trailers, so I'm still not sure I want to see it. OH, exciting. Some really great movies. 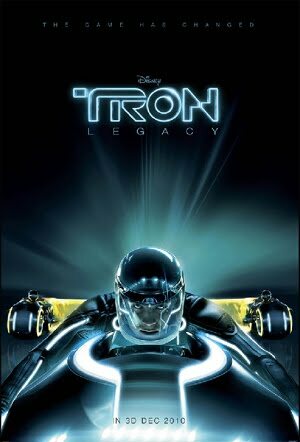 Dezz, I think Disney is really hoping Tron Legacy fills those shoes. Univarn, it's NC! Don't hold your breath. Nebular, if either comes near here, I'll catch them. If not, well, there's always NetFlix. Now I'm off to watch Toy Story 3. Have you heard about rhe "Cowboys and Aliens" movie starring Harrison Ford coming out next year? Aliens attack an old west town of the 1870's. It's based on a book of the same name. My granddaughter has already informed me that I'm taking her to see Tangled. I feel better now that I've read your review. I think I'd like to see Area 51, and Tron, and True Grit. And Warrior. Hmm, maybe I'm just bored with cable. I want to take my daughter to see Tangled- can't wait! (On a side note, it's funny that Shannon Hale has a book called Tangled she came out with several years ago- a take on rapunzel, I think- I never read it). I kind of liked Prince Caspian- does Dawn Treader have the same actor that played him? Lots of buzz about Tangled here. I honestly wasn't considering it but now have second thoughts! I love the premise of Area 51, but is it some teen flick--I'll look I guess. 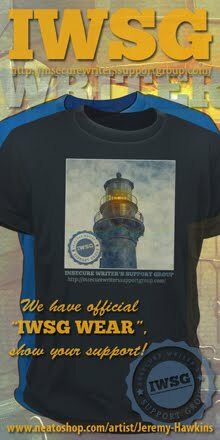 True Grit? I never even saw the first one. Jules, and it's a stretch to remember Tron! Walter, you bet! Saw the trailer last week. Looks awesome. Pat, Tangled will surprise you. Enjoy! Donna, then it's time to venture out to the movies! Abby, you'll have a great time! And yes, Ben Barnes returns to play Caspian. Lynn, let the kid in you out and go enjoy! I'm going to see Tangled next week and I can't wait for Tron! Thanks for the overview, Alex! My daughter and I just finished "Dawn Treader", the book, and we're looking forward to the movie! I always loved the idea in the book of going to the edge of the world. Falen, you'll have a great time! Elizabeth, really hope they do that one right. I'll probably watch Tangled. 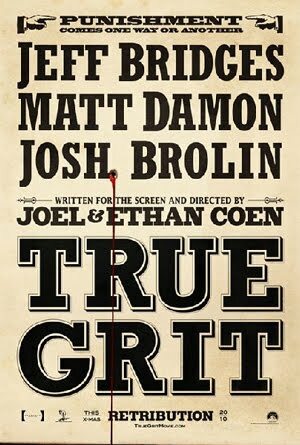 And I'm looking forward to True Grit. I saw Tangled this past week and we loved it! So cute! I can't wait for Tron at the Imax... it will be every reason to visit the Imax next month. ANd have you seen the previews for Cowboys and Aliens??? Looks outstanding! Debbie, that only sounds fair! Pk, it was a sweet movie. And yes, Cowboys and Aliens looks awesome! Just got home from seeing The Next Three Days. Started slow, but got faster. DH and I both liked it. We saw the preview for True Grit. I don't know about that one. May go see it. Great reviews again, Alex! I so want to see Tangled & Narnia! There's only one movie I'm looking forward to this month and it's Tron. I'm like a child waiting for Christmas! Helen, it's difficult to follow in Wayne's shoes, isn't it? Less than three weeks to go, Ellie! yeah for Tangled! Can't wait to go see it! I also just saw Cowboys and Aliens trailer and I'm very intrigued! I'm going to see Tangled this week! 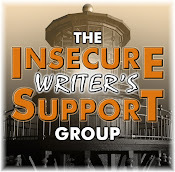 Nice blog, I'll definitely be following. Thanks Mack - following now! Thanks, Nub! Following yours now as well. Voyage of the Dawn Treader was my favorite of the series too! Visuals used in this classic fairytale were gorgeous. It's really a huge step up in Disney's triumphant. I can't wait to see the new True Grit. I loved the John Wayne version, but I'll bet Jeff Bridges does a great job, too. you saw tangled already.. was it boy enough.. I heard it was.. How often do you go to the movies? I'm looking forward to seeing Tangled. I didn't realise it was the 50th movie already? Damn, that's a lotta movies! 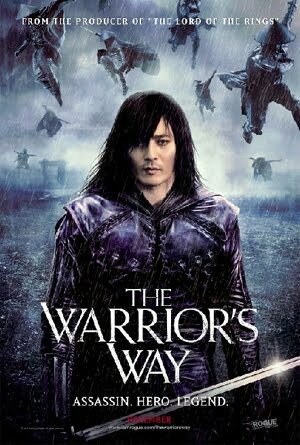 Warrior's Way looks suitably silly so I may give that a go in the cinema too. The Tangled trailer looks okay, but considering this is Disney's last fairy tale adaptation I wish they had done a more epic tale. Maybe Rumpelstiltskin? Catching up on your blog... we *just* watched Prince Caspian... well, most of it, as I got so annoyed I just quit watching (to be fair, our DVD player was messing up too... still, I don't have any desire to go back and finish watching it). It has me wondering if I want to pay to see Dawn Treader... think I'll wait to see the reviews.